Dry needling is a technique I use to treat myofascial pain and muscle restrictions. The technique uses a “dry” needle, a needle without medication that is inserted through the skin into knotted up areas of muscle, known as trigger points. A trigger point is a taut band of skeletal muscle located within a larger muscle group. Trigger points can be tender to the touch, sometimes touching a trigger point may send pain to other parts of the body. 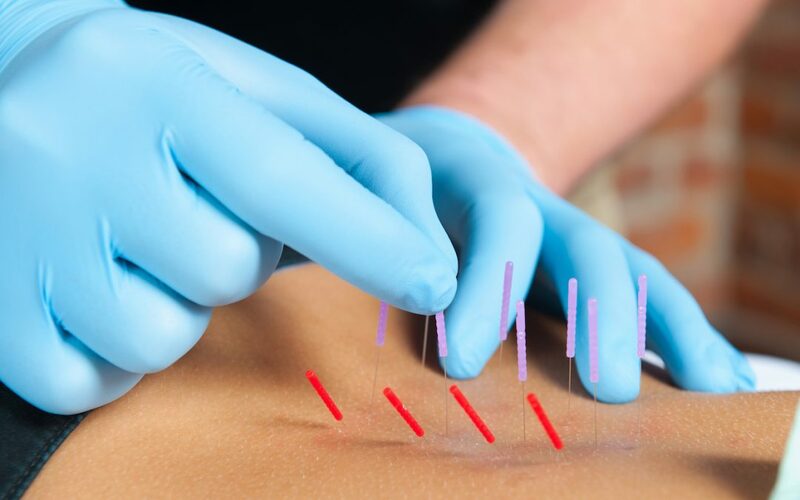 A dry needle is a thin filiform needle that penetrates the skin and stimulates the underlying myofascial trigger points, muscles and connective tissues. By using a dry needle, I can be more specific with my treatments and use greater precision when targeting tissues that are not manually palpable. At Aspire Hospital Center for Rehab, I use dry needling with the goal of desensitizing or inactivating trigger points to relieve pain and improve quality of movement. Preliminary research validates the use of dry needling for improving pain control, reducing muscle tension and normalizing dysfunctions of the motor end plates, the sites at which nerve impulses are transmitted to muscles. This typically speeds up the patient’s return to active rehabilitation and decreases their pain level significantly in a short amount of time.